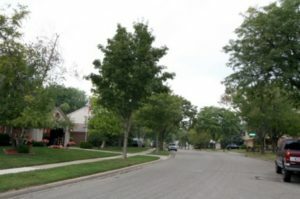 Smokler Bolgos is a traditional Ann Arbor neighborhood with 2 story colonial and cape cod homes. Within the subdivision, there is Sugar Bush Park and a swim club, and beside is the Thurston Nature Center. There are currently no homes listed for sale and so far this year, 1 has sold. $425,000. 3429 Gettysburg Rd., Ann Arbor. 1852 sq. ft., + 500 in finished lower level, 4 bedrooms and 2.0 baths. Last year at Smokler Bolgos, 3 homes sold with an average sale price of $349,667, and an average price per square foot of $204.00. The 1 home sold this year has a sale price of $425,000, up 22%., and a price per square foot of $229.00, up 12%. In comparison, the average square footage of the homes sold in 2017 were 125+ square feet less than the home sold this year. To learn more about home values at Smokler Bolgos, contact the real estate specialists with The Bouma Group at (734)761-3060 or email info@bouma.com. View more Ann Arbor neighborhoods here!